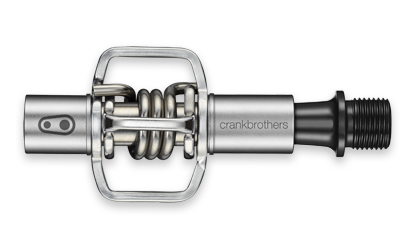 The Crank Brothers Egg Beater 1 features stamped steel body with stamped wings, for the ultimate in pedal durability. Its simple design sheds mud while it is fully rebuildable and simple to maintain. Four sided entry is the perfect fit for the cyclocross arena. Includes a pair of All Access cleats that fit SPD bolt pattern, set of shims provided with all pedals. Weighs 256 grams.